As Asia’s trade show for lasers,optics and photonics,LASER World of PHOTONICS CHINA 2019, it plays host to a number of other supporting events.It covers a wide range of hot topics, for example laser processing, advanced lasers, optics, IR imaging, laser safety and light beam analysis, as well as the latest findings in these areas. The 6th China Laser Market Summit was hosted by the China Optical Society-Laser Processing Committee. The co-organizers include Messe Muenchen and two world-renowned magazines, Laser Focus World and Industrial Laser Solutions. This Summit will invite leading figures and experts in the laser industry from China and abroad to share their insights into the status quo, development strategies and prospects of laser enterprises and the industry. Co-hosted by Chinese Laser Press and Messe München International, the 14th National Conference on Laser Technology and Optoelectronics (LTO) & The Announcement and Award Ceremony of China’s Top 10 Optical Breakthroughs will be taken place during 17-20 March, 2019 in Shanghai, China. 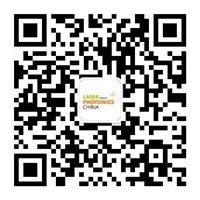 The conference aims at promoting the academic progress and development of laser and related fields in China. Since 2006, LTO has successfully been held for 13 years and provided a professional platform for domestic laser academic exchanges. LTO was held concurrently with “Laser World of Photonics China”. Organizer: Shanghai Institute of Technical Physics of the Chinese Acadamy of Sciences(SITP) Messe Muenchen Shanghai Co., Ltd. Organizer: Messe Muenchen Shanghai Co., Ltd.